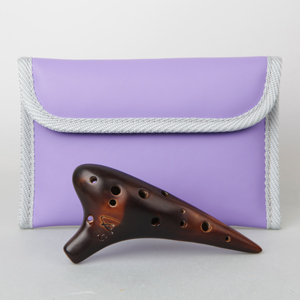 This is Focalink's single-chambered ocarina in the key of Soprano C from A to high F for a total of 13 notes. 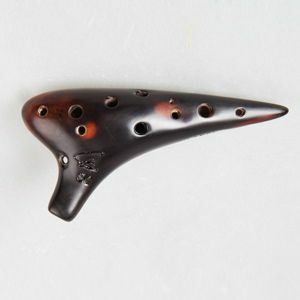 All instruments are finely tuned for clarity and pitch and we use a unique straw firing process that creates beautiful earth tone colors throughout. A lacquer is also applied to bring out the richness in color. 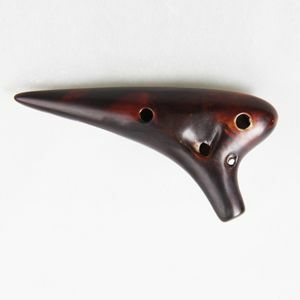 Because of this unique handcrafted process, no two ocarinas will look the same.